We bring forth an extensive range of Forged Steel Globe Valve, which is highly acclaimed for its easy installation and fine finish. Resistant to corrosion, these are widely considered among our clients. These are widely used in the refineries, oil processing plants, and chemical industries. Subjected to various quality checks, the entire range of the forged steel globe valves offered by us is assured of an utmost quality. 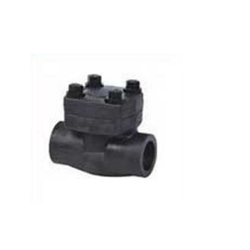 We are able to provide a commendable range of Forged Steel Valves. These products are precision engineered by our quality experts at our state-of-the-art infrastructure and are made using qualitative raw material. 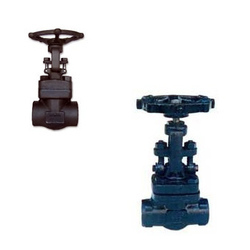 Available in various technical specifications such as ports, ends, bonnets and other, these globe valves are also offered in customized ranges to suit the clients’ needs. We offer Forged Steel Check Valve, which is a mechanical device which normally allows fluid to flow through it in only one direction. There are two port steel check valves which has two openings in a body one for fluid to enter and the other for fluid to leave. We provide varied range of the cast steel check valves which are highly durable and cost effective. 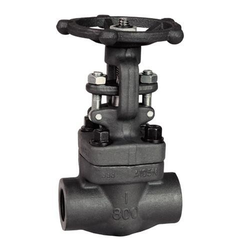 Looking for Forged Steel Valves ?